Rating and reviews posted for surrogacy agencies and clinics! After receiving more than 120 surveys in the first 10 days, we already posted ratings and reviews on the surrogacy agencies and clinics that received most responses. The tables list overall score and highlights of results, and link to full reports (updated in real time) with much more, including comments and personal reviews. The four agencies that received a substantial number of reviews (8-17 each) are: Fertility Miracles, Circle Surrogacy, Tammuz and Family Source Consultants. 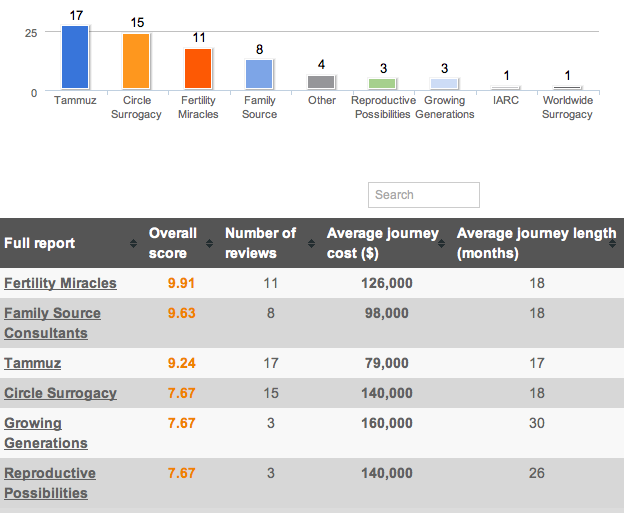 Fertility Miracles have the top ratings (9.9 with 11 reviews), Tammuz so far has the lowest average journey cost (around $80,000). 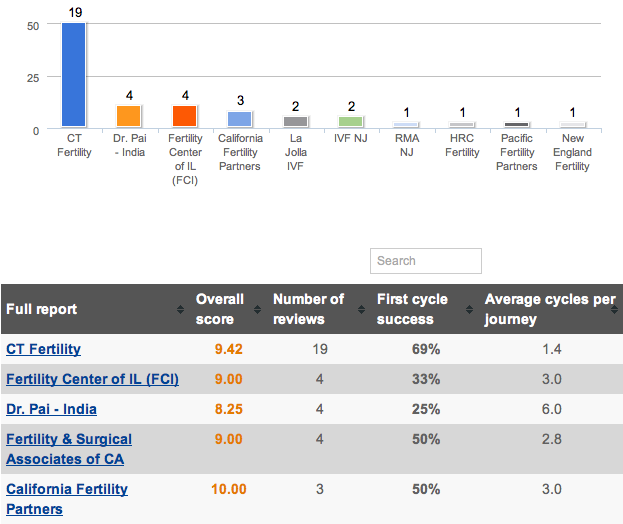 CT Fertility leads among clinics with 19 reviews and a score of 9.42. Among prospective parents, 8 are working with Fertility Miracles, 3 with Family Source and Reproductive Possibilities. Please keep those surveys coming - they will be updated in real time, and we will soon also add more reports about both the parent and prospective survey results. Click on the snapshots below to go directly to the rating tables.